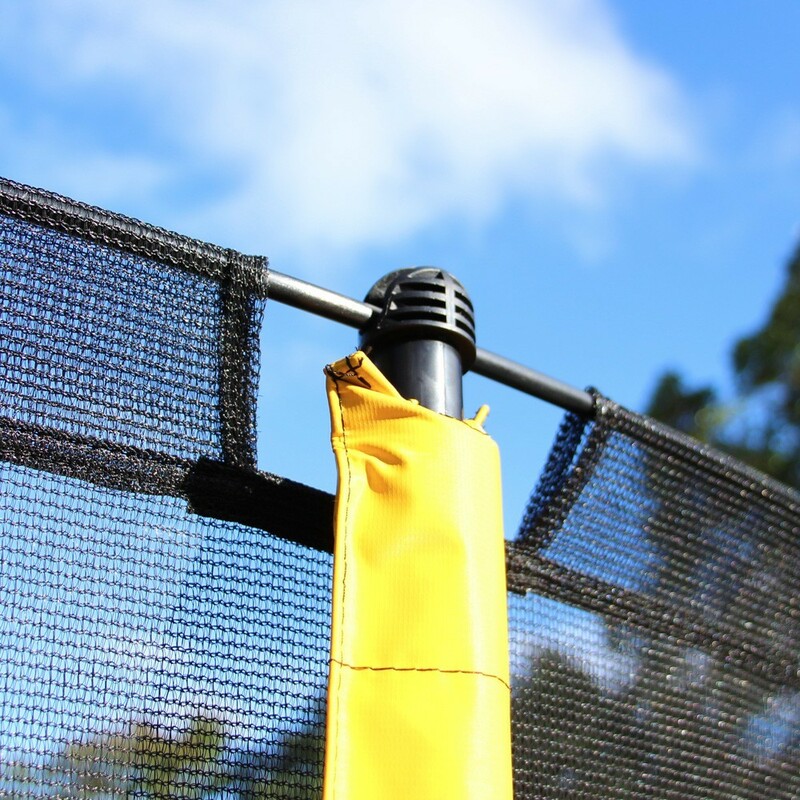 The safety net is of the important parts of your trampoline that ensure safety for all users. 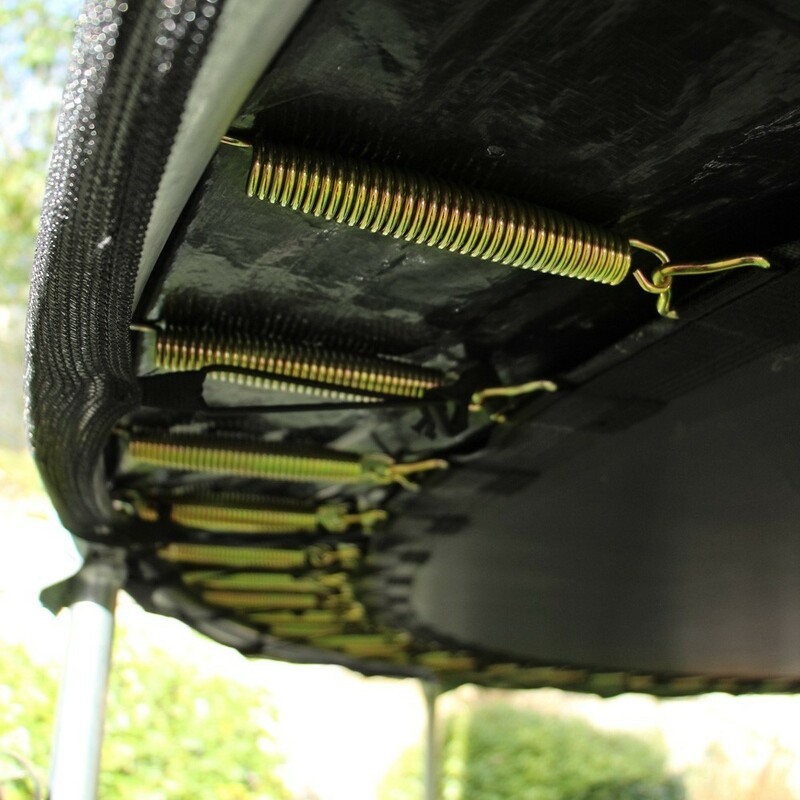 For this reason, it is very important to keep your safety enclosure in an excellent condition. If your net is damaged we recommend you change it with this spare part. - This net is compatible with our 12ft. 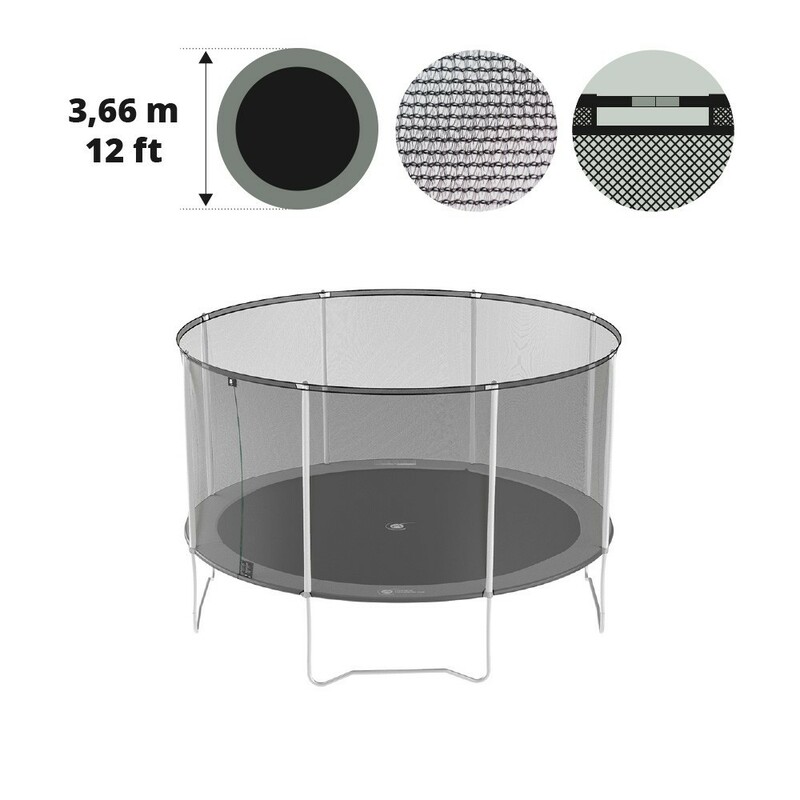 Initio 360 trampoline, but also with other round trampolines with the same measurements, 8 net posts and that uses X-junction components. 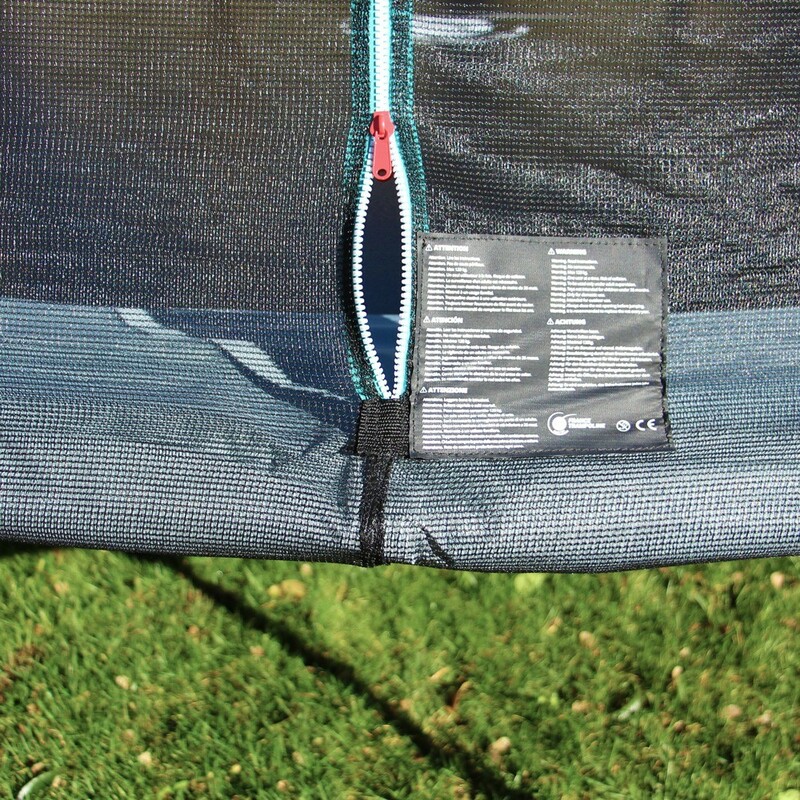 - To ensure a robust and premium product, our safety nets are made from 100g/m² PE polyester and are also treated against UVs. 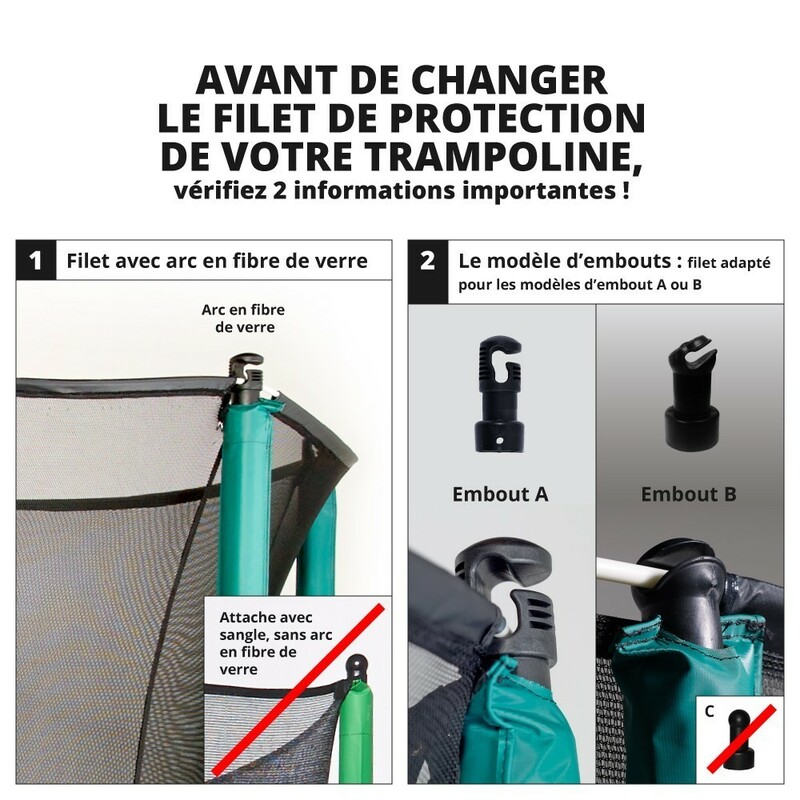 - No risk of getting fingers caught: the mesh is extra fine! 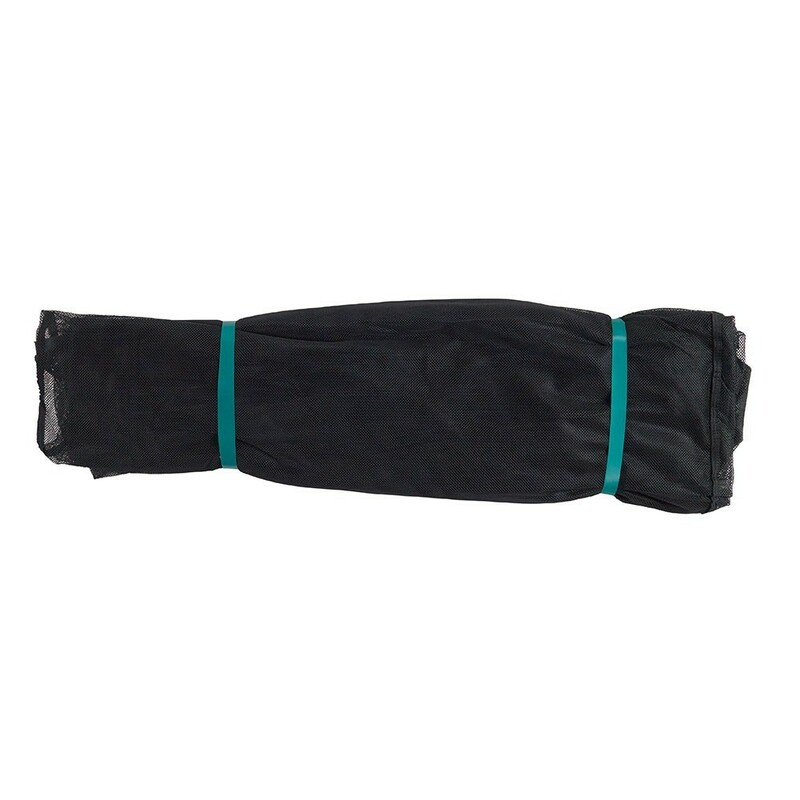 - Quick and easy to install, this net is tensioned by the fiberglass rods (sold separately) and tensioners to be attached under the frame pad. 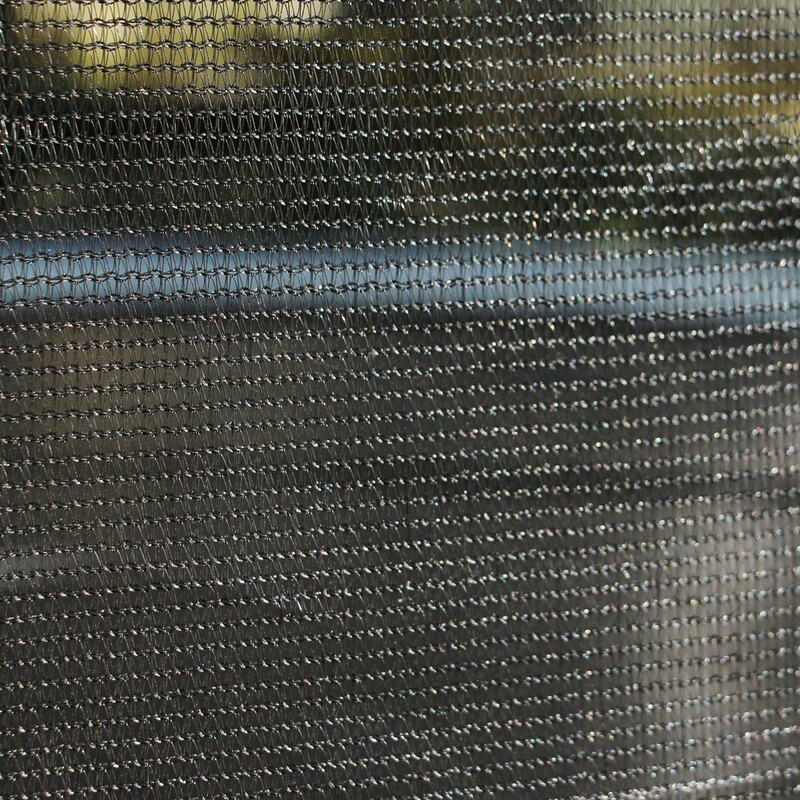 This way, there will be no space between the net and frame pad. 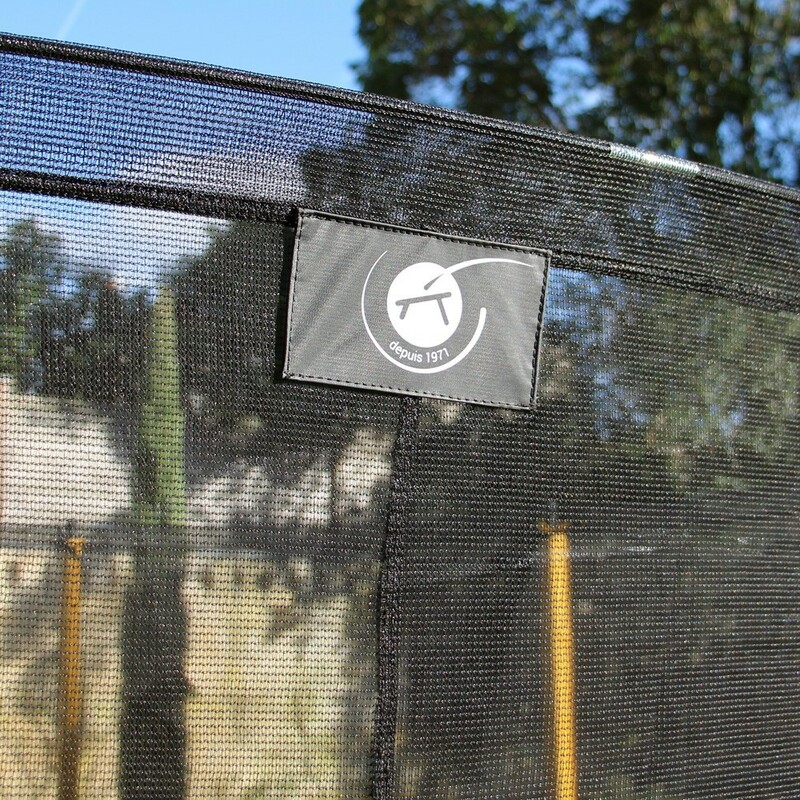 - A vertical double-zip door allows you to enter and exit the jumping mat.